I don’t know about you, but I’m certainly starting to feel the cold, which means one thing – winter is finally here! 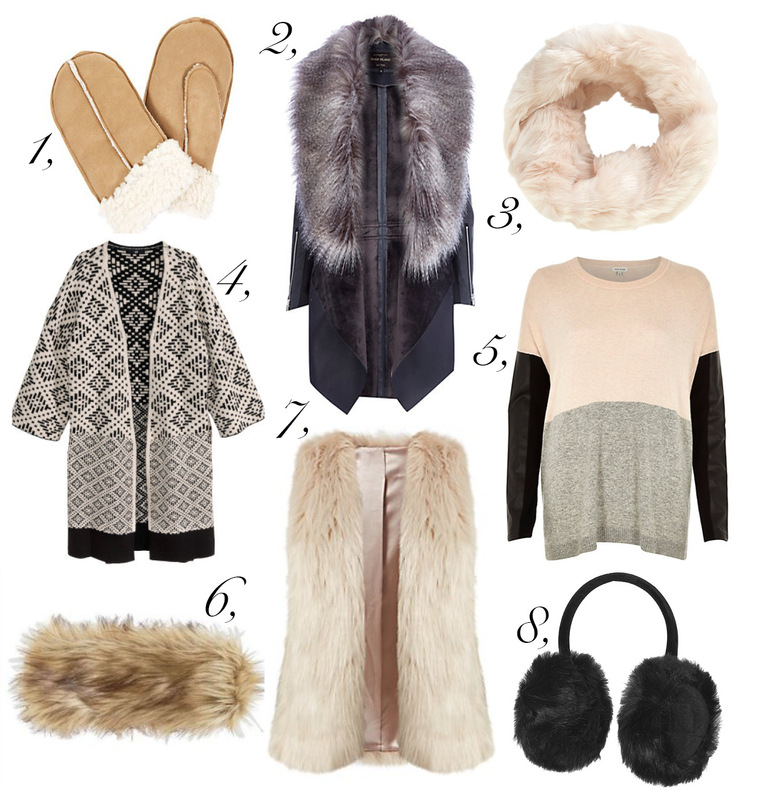 It’s time to layer up cute knits with leather jackets, faux fur collars with cosy mitts and cover our ears from the frost with earmuffs or furry headbands. I love this time of year, so I’ve put together a little wish list, which I’ve already started buying, to keep snuggly warm this season. Love the colour block jumper, so cute! And the fur gilet! I have it in cream and I love it! So cosy, and the leather detailing just gives it that extra something. I need the fur gilet in my life soon, it’s getting so cold! wow, theses things are soo great for winter!! Love them all! Thank you lovely, I love all these items too! Yeah of course, thank you for the follow, just followed you back!